Dons Removals and Storage is committed to providing quality services to you and this policy outlines our ongoing obligations to you in respect of how we manage your Personal Information. We have adopted the Australian Privacy Principles (APPs) contained in the Privacy Act 1988 (Cth) (the Privacy Act). The NPPs govern the way in which we collect, use, disclose,store, secure and dispose of your Personal Information. Personal Information is information or an opinion that identifies an individual.Examples of Personal Information we collect include: names, addresses, email addresses, phone and facsimile numbers. This Personal Information is obtained in many ways including interviews, correspondence, by telephone and facsimile, by email, via our website www.donsremovals.com.au,from your website, from media and publications, from other publicly available sources, from cookies and from third parties. We don’t guarantee website links or policy of authorised third parties. We collect your Personal Information for the primary purpose of providing our services to you,providing information to our clients and marketing. We may also use your Personal Information for secondary purposes closely related to the primary purpose, in circumstances where you would reasonably expect such use or disclosure. You may unsubscribe from our mailing/marketing lists at any time by contacting us in writing. Sensitive information is defined in the Privacy Act to include information or opinion about such things as an individual’s racial or ethnic origin, political opinions, membership of a political association, religious or philosophical beliefs,membership of a trade union or other professional body, criminal record or health information. Don’s Removals and Storage will not charge any fee for your access request, but may charge an administrative fee for providing a copy of your Personal Information. So happy with the service i received from all of the team, from my initial phone call to the end of the job. I was impressed with the professionalism and the care taken with my furniture and personal belongings. Thank you. Cannot speak more highly of the great Removalists employed by Robbie. Two very nice chaps that were super helpful and friendly and nothing was too much trouble. My move went super smooth. Thanks once again for a great experience. Thanks to Robbie and his team for helping us move into our new office. Our equipment is very valuable to us. We found your guys where very professional and carefully moved our equipment. Highly recommend Don’s removals. Thank you. Had a big and not-so-easy job to do; Don’s handled it well. Was impressed and recommend them. Don’s Removals did our house move last week (no packing, just boxes and furniture move). The two guys from Don’s were amazing, courteous, friendly and had a great sense of humour. Great customer service. Well recommended and we would use them again ! 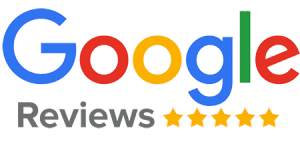 See our latest reviews on Google.